Don Joel has been living and working with the plants of the rainforest outside of Iquitos for over 40 years. He is the Shaman and guide for the community of El Huambé, where he spends most of the year. 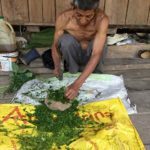 He first learned the wisdom of the plants through his mother, who was a powerful vegetalista (a healer that works only with plants, not ayahuasca). His mother taught him and his sister, who is another well known curandera, residing in Tarapoto. After many years of working with the plants of the jungle and dieting various master plants in isolation, Don Joel was called by ayahuasca. 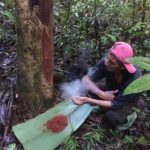 In addition to 40 years of experience as a vegetalisto and ayahuasquero, Don Joel has over 15 years of experience working exclusively with Westerners, many of whom are drinking ayahuasca for the first time. 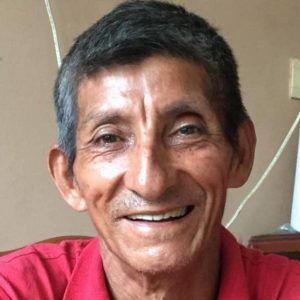 You might see Don Joel for your ayahuasca retreat or master plant dieta, but don’t be surprised if he goes missing– he is known to disappear into the jungle for periods of time searching for just the right medicine! Don Joel is known and respected as a true medico and we are honored to work with him.